In my mind there is something really summery about tucking into a bowl of mussels. Even though I eat them year round, they never fail to evoke a fantasy of being in a beach side bistro with the sand between my toes eating the day’s fresh catch. 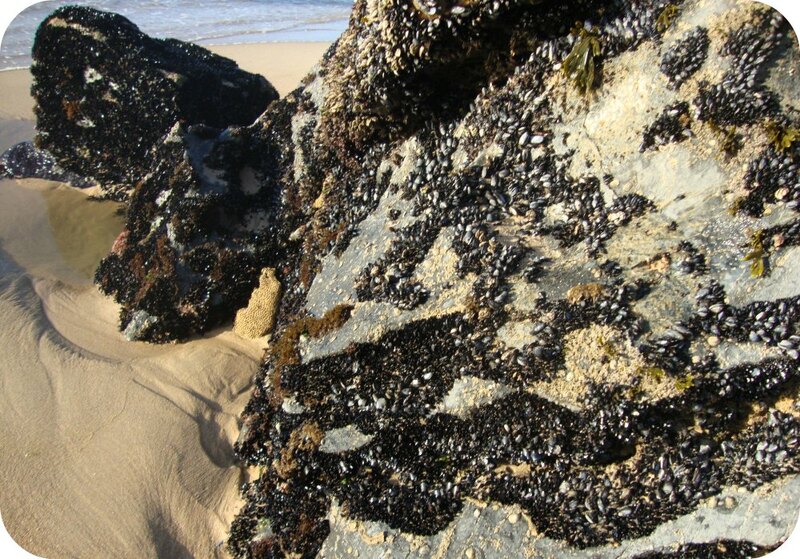 Last year on an astoundingly beautiful beach in Portugal, I saw teeny tiny mussels growing on the rocks- I’d never seen it before and they were so small yet perfectly formed that there were literally thousands of them carpeting the rock surfaces. Back in the real world, more often a not I buy my mussels on the butcher counter of the supermarket, or if I can get there, Bolton Market. I’ve not been able to drinks cider since a nasty incident in my teens involving a vast amount of White Lightening and a knock to the head, but I do like to cook with it. The booze burns off, but if you’re a bit iffy about cooking with alcohol get down to a farm shop and buy a bottle of really good local apple juice which is crisp and sharp. Round these parts we can get excellent Cheshire Apple juice which I recommend. This is so simple, the key is to prep everything first because once you get the pan on, it is done is a matter of minutes.. So clean your mussels and have everything to hand by the side of the hob. 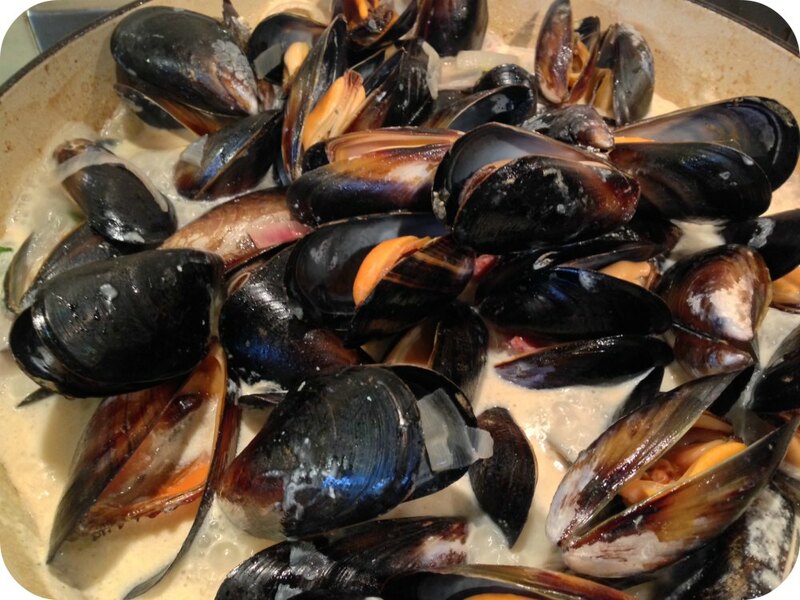 Mussels in Cider … or Moules Cidré if you want to sound a wee bit posh! Last reminder – if they are closed now, don’t prise open and eat them. Discard them. I want to try more mussels so if you have a good recipe which is out of get he ordinary please let me know. Also, this was a really beardy batch so if you have any tips for cleaning them I would love to hear from you!